CALL US TODAY FOR A FREE ESTIMATE ON INSULATING YOUR HOME! Do you find its a constant battle to keep your home cool in the summer and warm in the winter? Possibly, you are struggling with cold floors or even increased energy bills. If these sound familiar to you and your family, we are proud to say we can help. New homes and older homes nowadays simply do not have enough insulation. The minimum insulation levels required by building codes do not come close to providing the level of comfort that you need throughout the year. Which is why we are here to serve you and give you the insulation your home is lacking. We provide our customers with the best insulation options available by using only the highest quality products. With our top of the line insulation, forget constantly having to tamper with the thermostat to find the perfect temperature, your home will provide it for you with energy saving efficiency and high comfort levels! 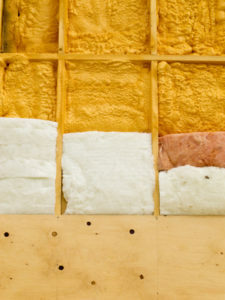 Our insulation solutions utilize the most advanced techniques and the broadest selection of insulation materials available. 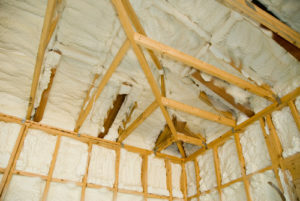 We can give your home a customized insulation upgrade that ensures the best performance and value. We offer whole house installation which can help reduce your energy expenses and protect your home year round. Give us a call today to learn more and to schedule your free estimate! Spray polyurethane foam (SPF) is an innovative foam plastic substance that is sprayed onto an open surface in paint-like form and then expands to create an insulating barrier against wind and outside temperatures. It is our top rated most installed insulation. We are constantly using Spray Foam in our customers homes because it outperforms other insulation materials in terms of R-value, resistance to mold and moisture damage, durability, air sealing, and versatility. It Kills Drafts better than all other types of insulation. SPF seals tight spaces, and is great for adding insulation to existing finished areas, irregularly shaped areas, and around obstructions. 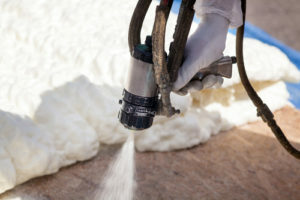 Using spray foam is an easy and cost efficient way to conserve your home or commercial building’s energy. More than 80% of people living in the United States who are looking to buy a home, would choose an energy-efficient home over a home that has poor energy efficiency. So, by investing in high quality insulation you are adding to the value of your home and increasing the chances of it selling faster! If your home is properly insulated, your HVAC unit will not run as frequently, so you will enjoy lower monthly energy bills. These cost savings will add up, and your new insulation will pay for itself in no time. Talk to the professionals, and choose the correct insulation for your space. We promise it will keep conditioned air in, and the harsh weather will stay out. When installing insulation into your home you want a contractor you can trust! We have been serving Alexandria Virginia and its surrounding cities such as: Annandale, Arlington, Belle Haven and Springfield for longer than 35 years. We promise to provide you with what our customers know us for, our friendly and knowledgeable services. We are a small family owned company and we value each of our clients business. Our services our fast and reliable and our prices are the best around! Contact us to start lowering your bills and start raising the levels of comfortability in your home today!